‘‘Wider choice in the occasionwear market and an increasing consumer preference for dressing down led to Coast’s administration yesterday. The demise of House of Fraser in August, a key concession partner, exacerbated its woes, with Coast left almost £1m out of pocket. 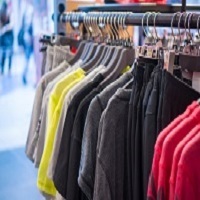 ‘‘The retailer has found itself under greater competitive pressure with the likes of ASOS and Zara making it harder for Coast to justify its premium prices, while threatening the loyalty of its customer base. Despite this, Coast’s distinctive design handwriting will ensure shopper appeal prevails. ‘‘With its 24 standalone stores removed from the equation, Coast has a new lease of life with only a transactional website and concessions to its name in the UK. Though its downfall was cemented by House of Fraser’s collapse, the business is now even more dependent on department stores. With a swift revival at Debenhams – where Coast has a vast number of concessions – looking unlikely, the womenswear brand remains in a precarious position.